This winter/spring there are more opportunities than ever for juniors in All West territory to get involved! Check out some activities coming up in our area, as well as some links for scholarship applications! Be proactive. Choose to participate! 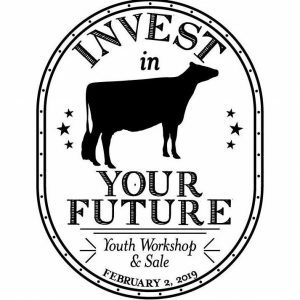 We hope you’ve registered for the Invest in Your Future Workshop coming up very soon in Turlock! Event organizers have worked extremely hard to put together a one-day session that will knock your socks off! Guest presenters include Katie Coyne (Showmanship), Evan Creek (Fitting), Dr. Jason Gress (Animal Health) and Natalie Sanders (Show Supplies). The day starts with registration at 8:30am and ends with a sale starting at 2pm. Dairy Cattle Judging – taught by former Cal Poly Dairy Judging Team coach Dr. Stan Henderson. This seminar will cover cattle evaluation using the PDCA unified scorecard, judging basics and composing reasons. There will be a photo and video judging contest, as well as a reasons contest! How to Become a Dairy Advocate – How do you handle tough questions about the dairy industry? How do you share your own California dairy story? CMAB’s Kris Costa will lead this seminar involving messaging training, giving you the ability to be your own Dairy Advocate! 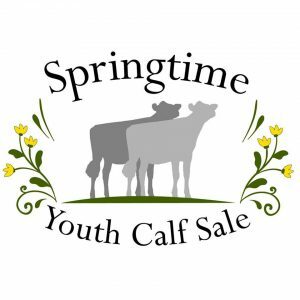 Oregon Junior Holstein Sale & Day of Dairy Event! 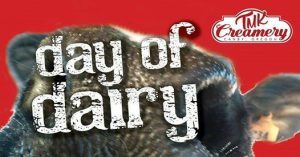 April 13, 2019 – TMK Creamery, Canby, OR If you’re an Oregon Junior Holstein enthusiast, make plans to attend the Day of Dairy Event at TMK Creamery! Along with several interactive stations set up (like fitting a show cow, cheese making, and feeding a show cow), you can also participate in the Oregon Junior Holstein Sale! Events kick-off at 11:00am! application. NHWSO provides financial assistance in the form of scholarships to deserving young men and women in furthering their college education at the undergraduate or graduate level. 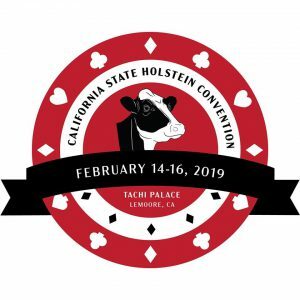 Each year any interested Holstein Junior member is eligible to submit a scholarship application and participate in an interview at the Holstein Annual Meeting and Convention. Our first scholarship was given in 1980. Since that time through the 2015 awards, the collective interest, efforts, and contributions of hundreds of ladies, their families and friends have made it possible for NHWSO to provide 159 scholarships totaling $191,500. The dollar amount and number of scholarship recipients awarded is dependent on the amount of funds received at the NHWSO Scholarship auction. There will be a minimum of one scholarship amounting to at least $1000 awarded at the 2019 National Holstein Convention. Applicant must be a member of either the National Junior Holstein Association or Holstein USA, and have dairy involvement. At the time of the National Holstein Convention, applicant must have completed one year at a college, university or technical school. At the judges’ discretion, preference may be given to a student majoring in an agriculturally-related course of study and/or those with a strong Holstein background. Completed application consists of 5 parts, (1) signed personal information form, (2) official college transcript, (3) resume, (4) personal opinion essay, and (5) personal ad. All five parts must be included with the application for consideration, and must be received by February 15, 2019. Electronic signature is acceptable for emailed applications. Submit parts 1 through 4 via email to nhwsoapplications@gmail.com. All applications will be reviewed by a panel of judges, and finalists will be invited to a personal or digital interview to be held during the 2019 Holstein USA Convention in Wisconsin. Scholarship finalists will be notified by April 15, 2019 at the latest to allow time for travel arrangements. Failure to follow rules as written may result in disqualification and/or significant reduction in score at the judges’ discretion. Scholarship winners agree to use the scholarship within 12 months from date received. Scholarship winner must provide proof of enrollment (fee statement or schedule of classes) before monies are dispersed. Failure to provide proof will result in forfeiture of scholarship. Previous winners are not eligible to apply. Previous applicants who did not win are encouraged to apply! through the National Dairy Promotion and Research Board (NDB). Students in their sophomore through senior year majoring in one of the following fields are eligible: communications/public relations, journalism, marketing, business, economics, nutrition, food science and agriculture education. Scholarships are awarded based on academic achievement, an interest in a career in a dairy-related discipline, and demonstrated leadership, initiative and integrity. Candidates must complete an application form, submit an official transcript of all college courses, and write a short statement describing their career aspirations, dairy-related activities and work experiences. Completed applications should be submitted to the National Dairy Board c/o Nate Janssen, Dairy Management Inc., 10255 W. Higgins Road, Suite 900, Rosemont, IL 60018-5616. They must be postmarked no later than April 26.